These pyrometers can measure temperature up to 1400°C. 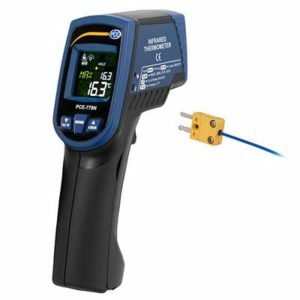 These are not used for precise work and are cheaper as compared to resistance thermometers. 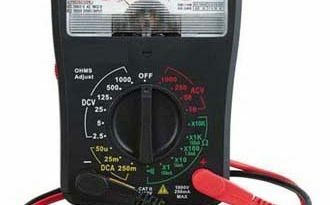 A complete circuit of these meters is a thermocouple junction which is enclosed in a thermometer tube. 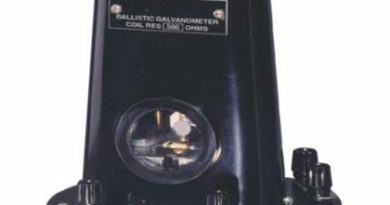 Galvanometer is used for indication of current due to emf generated. If a high resistance galvanometer is used, there is no need to use ballast resistance. 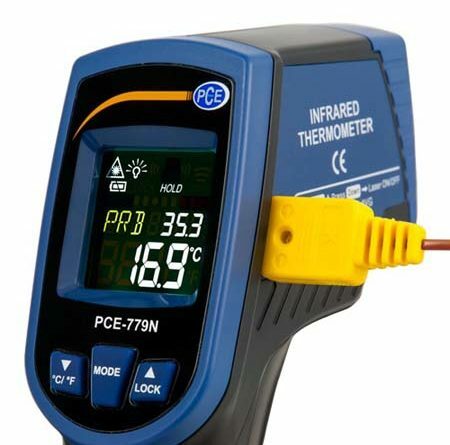 To protect the thermocouple, a sheath surrounding the hot junction is always used. Hot junction of the pyrometer is touched with the hot body and as a result an emf is generated in a thermocouple junction. The galvanometer deflection is proportional to emf if the resistance of the circuit is constant. This is used to measure temperature above 1200°C. These are used where the measuring apparatus is not subjected to the full heating effect of the source whose temperature is to be measured. These pyrometers make use of the radiations emitted from a hot body and therefore, are called radiation pyrometers. (ii) Fery variable – focus pyrometers. The construction of a fixed- focus pyrometer. It consist of a long tube MNPO containing a concave mirror C which is adopted to focus the heat rays which pass into the tube. AB is a surface from which radiations are emitted and entered into the tube from a narrow aperature EF. Image is formed on a sensitive thermocouple D. The emf is produced when thermocouple is heated. This emf is measured with the help of galvanometer or milli voltmeter which may be calibrated to read temperatures directly. The receiver D is made black to absorb all the radiations falling on it. Fery variable – focus pyrometers. Construction of Fery variable – focus pyrometers. is concave mirror with an opening at its centre. Through this opening hot body is observed with an eye piece. 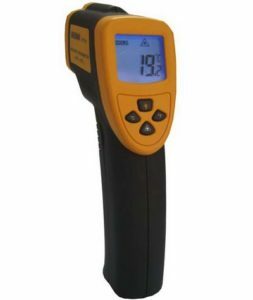 Heat radiations are focused upon a sensitive thermocouple A. The focusing is done with help of a rack and pinion which moves the mirror as required. A small mirror is placed directly behind the thermocouple. 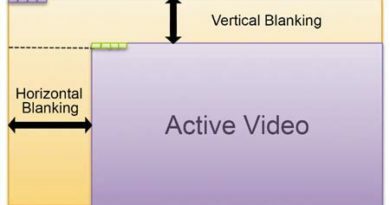 Two images of the body are made by adjusting the focusing arrangement. These images are reflected by the concave mirror upon a small mirror behind the thermocouple. 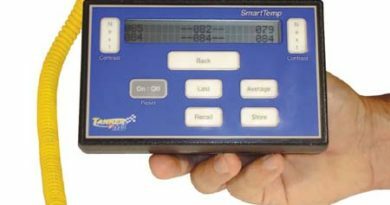 The emf set up in the thermocouple is measured by a sensitive moving coil instrument whose scale may be graduated in temperatures directly.